Impacting Diversity - What Does it Take? Above, the third class of Symantec C3 students at non-profit partner NPower includes 17 students, 47% of which are female. 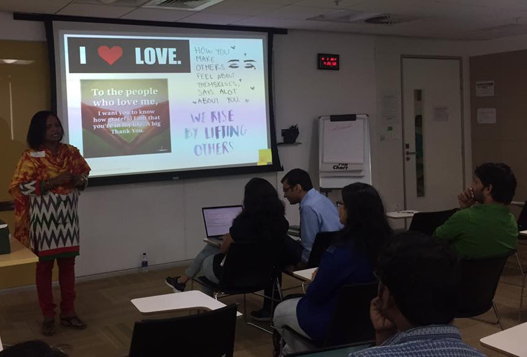 Unconscious bias and ally workshops at Symantec are held by the company's PRIDE employee resource group and look at what an ally is and how to navigate difficult or uncomfortable situations in the workplace. Creating an inclusive and diverse workplace continues to be a challenge for corporations, especially those of us in the tech industry. With cultural movements like #MeToo and #TimesUp, and situations of sexual harassment in the news each day, we are talking about diversity more than ever before, and putting policies in place. But, we haven’t made a lot of progress and aren’t moving the numbers much with our existing diversity efforts. As sustainability and impact professionals, we must recognize that equity is our joint responsibility. We also have an opportunity to step up and help lead our companies in making racial and gender equity the business norm, just as we are doing with corporate responsibility (CR). As practitioners, we went through a similar process when we introduced “sustainability” to our boards, executive teams, and employees. We have learned how to create buy-in and how to effect meaningful change. We’ve developed unique skills and important relationships that I believe can help us begin to make actual progress on achieving our corporate diversity goals. Like sustainability, there is a well-established business case for diversity. A recent McKinsey study linked diversity and company financial performance, finding that companies with diverse executive teams posted bigger profit margins than competitors. Those in the top quartile for gender diversity on their executive teams were 21 percent more likely to experience above-average profitability, and those in the top quartile for ethnic and cultural diversity, were 33 percent more likely to out perform peers. This is one of many studies; another recent one out of North Carolina State and Portland State University found that a variety of backgrounds and experiences in the workplace lead to better business success and innovation. Similar to what we’ve seen in our field – diversity not only provides better business outcomes, it provides better outcomes for individual people and society as a whole. We don’t have to topple the industry and solve everything, but perhaps the following suggestions on how to leverage some of what we do best might provide some ideas to help us drive towards more diversity and inclusion for our companies. While hiring more diverse candidates is not a novel idea, we can add value by engaging more broadly with the community at large, and with a variety of stakeholders. In addition to recruiting at different types of schools and with different recruiters, our teams can use our existing community partnerships to uncover the unique and diverse talent that is out there. For example, working with non-profit partners, Symantec has created pipelines specific to our industry and gained access to new talent in different ways. Through the Symantec Cyber Career Connection (Symantec C3) program, we partner with non-profit training organizations to offer a 26-week program designed to place young adults and military veterans in computer sciences and cyber security fields. 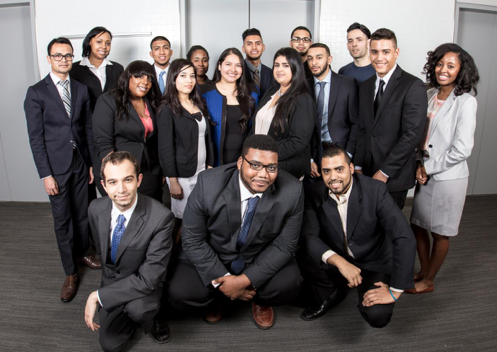 With partners including YearUp and NPower, Symantec C3’s program of rigorous classroom-based training and hands-on internships are producing diverse, entry-level cyber security professionals that help fill the critical cyber security roles needed today and in the future. As CR professionals we have had to be extremely resourceful with limited budgets. We’ve learned to work across internal functions and to make meaningful connections with employees as employee engagement is a vital part of creating buy-in. Your entire employee base needs to be engaged in the journey of diversity and building a truly inclusive culture. Many of you can relate to the numerous “roadshows” where we have shared our vision on what environmental and social impact means to the business bottom line, how it can be integrated into people’s work, and how employees can get involved. Expanding this to include diversity is a must. You have taught thousands of employees to compost in your offices, to see the benefits of renewable energy, and shown them how conflict minerals destroy livelihoods. If anyone knows how to deliver a complex and completely new topic to an entire company full of people it’s you. Let’s use our internal champions, passion, and our lessons learned to help inspire our companies to move the needle on diversity. Like other companies, Symantec has hosted unconscious bias and ally workshops. Through an ally education workshop led by our PRIDE employee resource group, we looked at what an ally is, how to navigate difficult or uncomfortable situations, and investigated how these actions and common scenarios play out in the work place when allies stand up and speak out for LGBTQ diversity. Similar to our eco-focused “lunch and learns” or green team led town halls, these trainings must reach all of our employees, including our recruiters, and serve as a resource for employees to learn more about diversity issues and advocacy. Metrics and measurement are necessary to show progress and keep us accountable. Today, over 80% of S&P 500 companies publish corporate responsibility reports—at Symantec this year we rolled out our tenth—and each year we trend towards more transparent reporting. It has been great to see tech companies begin to embrace diversity reporting. Slack’s 2017 diversity report showed that while only 11.4% of Slack’s technical roles are compromised of people from underrepresented racial and/or ethnic groups, the company is working to improve this. Slack hired two-thirds of their Code2040 interns full-time in 2016, has partnered with YearUp to attract more underrepresented candidates, and committed to the next class of Project Include to understand best practices in advancing inclusive environments and reporting diversity data. While they continue to work on racial and ethnic diversity, their work in gender equity is a great example in the industry: 48.1% of their managers around the world are women (up from 43% in 2016), and 29.8% of their technical organization is female (up from 24.5% in 2016). We’ve learned through trial and error, intense conversations with investors and NGOs, and from brand fall-out around us that transparency is what stakeholders are after. If our water use increases, we show that data in our CR reports. If our foundations don’t reach as many people as the year before, we show that data. We need to encourage our diversity reporting teams to show data and talk about our results publically, even when things aren’t going well. This helps keeps us accountable to our stakeholders, and ensures that these diversity goals remain a key part of our ongoing work. Everyone that works in our field knows that progress doesn’t come without support from the top. CEO’s from 175 companies, 50+ industries and all geographies in the U.S., including Symantec’s CEO Greg Clark, expressed their united commitment to create trusting and inclusive workplaces through The CEO Action for Diversity & Inclusion. These CEOs made an important statement that a diverse workplace is a business imperative, and set out on a three-part plan to encourage internal dialogue on diversity, host unconscious bias trainings, and share practices, both good and bad. Alice Korngold, President and CEO of Korngold Consulting, sees nonprofit board service as a tool for advancing diversity and inclusion. "Experts have long said that you can't "train" for diversity and inclusion, and most of today’s diversity programs are not increasing diversity. The truth is that people have to experience the value of diversity,” said Korngold. Her recently released study found that nonprofit board service provides unique opportunities for business people to appreciate what can be accomplished when working together with people from diverse perspectives towards a mission that is meaningful. We’ve also learned that if you want people to pay attention they need incentives. Starting in 2017, Shell employee bonuses, including those of their Executive Committee, reflect progress in managing GHG intensity and other environmental issues (see below diagram). Dozens of companies have embedded environmental KPIs into their executive scorecards and it has had a positive impact on our work. If we are serious about making progress on our diversity numbers, we need to incentivize our leaders, and diversity targets should be a part of management and executive compensation. A 2017 Deloitte study found that only 6 percent of companies tie compensation to diversity outcomes. This is something we all need to push for. Ultimately, we must make diversity a key part of our business strategy, integrating inclusion into our business values and everyday work. Just as sustainability isn’t simply a facilities issue, diversity cannot sit in a human resources silo. We found a way to tie together supply chain, facilities, product design, governance, human rights, and numerous other teams. We can help embed diversity across all aspects of the company, just like we did for waste, water, and energy. Through our work, we have years of experience trying, failing, making slow progress, and eventually succeeding in some areas. And, we’ve seen how this process feeds into itself. When a few employees drink water from reusable water bottles, others want to join in. Similarly, having more diverse people in your workplace can help address societal and cultural biases, and attract even more diverse employees. Diversity is vital to the long-term health of our organizations, and it’s time for our community to step up and help champion this. It doesn’t matter where you currently are on this journey, but it does matter where you go next. Perhaps some of the above ideas resonate with you. I’d love to hear about ideas you might have and your results.